The mouth and face of a child or young adult can be easily injured during sports or recreational activities if the proper precautions are not used. Last year, the National Youth Sports Safety Foundation (NYSSF) forecasted that more than 3 million teeth would be knocked out in youth sporting events. They also reported that athletes who don’t wear mouth guards are 60 times more likely to damage their teeth. 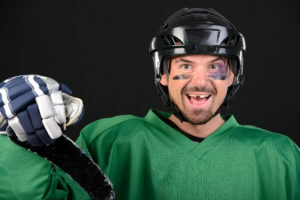 Do I Need a Mouth Guard To Play Sports? Wear a face shield to avoid damage to the delicate bones around the eyes, nose, and jaw. Hockey pucks, basketballs, and racquetballs can cause severe facial damage at any age. To learn more about Sports Injuries, please contact us at 660.747.9117 today to schedule an appointment.